First published in 1990. 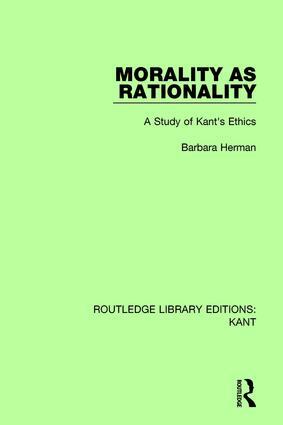 The aim of this thesis is to show that the way to understand the central claims of Kant’s ethics is to accept the idea that morality is a distinctive form of rationality; that the moral "ought" belongs to a system of imperatives based in practical reason; and that moral judgment, therefore, is a species of rational assessment of agents’ actions. It argues, in effect, that you cannot understand Kant’s views about morality if you read him with Humean assumptions about rationality. This title will be of interest to students of philosophy.